Neat, straight lines of curbs add to the attractiveness of parking lots and streets. The commonly used expression “curb appeal” implies that attractiveness of adjacent properties are enhanced by sharp demarcations between the street and lawns. A curb is concrete construction that runs along the edges of streets, parking lots, and other pavement on grade. Concrete curb and gutters have many advantages. Curbs collect water from crowned pavements and the gutter convey it to points of collection. The process of collecting and transferring water reduces the amount of water under the pavement. Curbs outline the edge of pavement and provide easily definable borders. 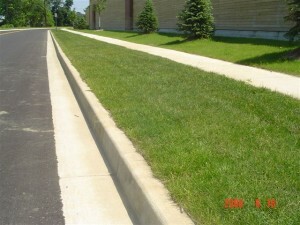 Curb and gutters eliminate the need for ditches along roads and parking lots because they control the water retained on the surface. Curbing that is cracked, severely damaged or missing is in need for repair. Cars can hit the missing segments and cause damage to the car and driver. 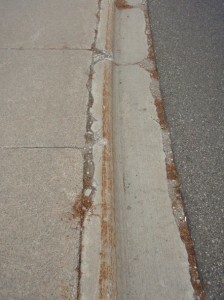 Damaged curbing can also cause water issues like standing pools of water or water that washes out asphalt. 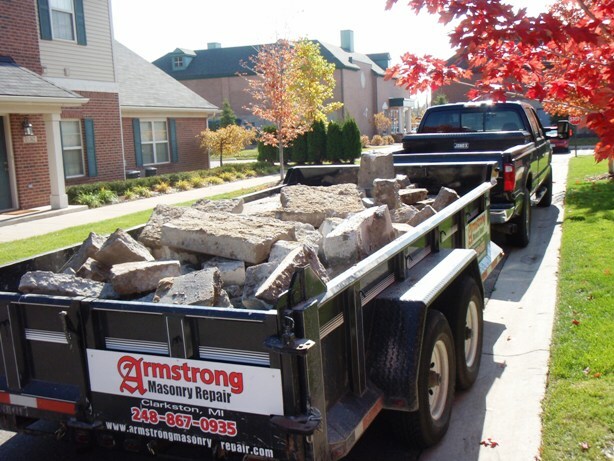 Armstrong Masonry Repair, Inc. has a long history of finding solutions to curb repair and fixing grades that cause water pooling issues. 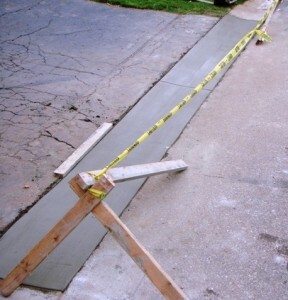 Concrete curbing must be saw cut and tied in with rebar. The pinning of the curb with rebar prevents it from moving during shrinkage, temperature, or moisture changes. Control joints prevent built up of stress from these conditions causing cracked and damaged curbs. High strength concrete poured to its full depth and consistent shape of existing curb is of the utmost importance. Before leaving we make sure to clean up our work area and haul away any debris.